Nikki is enjoying a successful career currently spanning over 17 years within Financial Services, Business Development and Senior Operational roles. 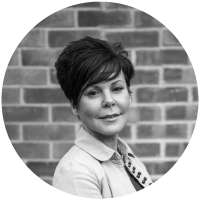 Nikki’s experience centres on the provision of holistic, compliant advice and recommendation for both personal and corporate clients. In the summer of 2017, Nikki was appointed as Head of Protection Sales at Larkbridge Mortgages Ltd and works closely with her clients identifying their Personal protection shortfalls such as Life Assurance, Critical Illness Cover, Income Protection and their Corporate protection such as Key Person Insurance, Shareholder Protection and Relevant Life Plans.